Considered the best in Canada, the Professional Cooking program at SAIT is delivered by world-renowned chefs who provide expert, hands-on training. In just two short years you will have the opportunity to train and interact with 20 leading culinary professionals - an amazing experience for anyone passionate about the culinary arts. During this full-time two year program, you will be trained in all aspects of the culinary trade including foundational cooking techniques, garde manger, culinary perspectives and patisserie. In an industry experiencing high demand, graduates from SAIT's Professional Cooking program gain valuable, real-life experience and are well prepared for a diverse range of options in the dynamic culinary world. 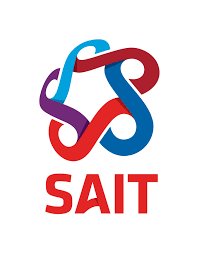 At SAIT, we are focused on our students' success and deliver on this promise through small class sizes, a personalized approach and state-of-the-art facilities. Our classrooms and labs have recently received $7 million in upgrades including the new Michelle O'Reilly Charcuterie Lab, SAIT's gourmet Market Place, the downtown Culinary Campus, and our own culinary garden - Jackson's Garden. Operating in live classroom environments such as the renowned Highwood restaurant and 4 Nines Dining Centre provides real world experience that readies you for success in the culinary industry. As a student, you will learn essential cooking skills and current trends through repetitive production style cooking for the public under the watchful eyes of our professional chefs - just like you would in a real kitchen. The capstone of the program is cooking for the public in the award winning Highwood restaurant, and the bustling downtown Culinary Campus where you will prepare world-class cuisine in a live classroom environment. Professional paid internship Between your first and second year of study, you will get to apply your skills in the industry through a professional paid internship. In addition to learning in a real-world environment, internships provide valuable connections and opportunities to network with future employers. As a student, you can also take advantage of exciting international study tours. Previous tour locations have included Australia, France, Spain, Italy, Chile and Thailand. Math 10C or Math 10-3 or Pure Math 10 or Applied Math 10.